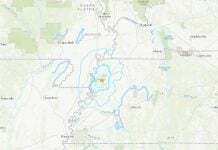 Mystery booms and rumblings have been reported by thousands in Sant-Louis, Missouri Metro area. But was it really an earthquake? Or an underground explosion at a nearby mine? I heard a loud boom at approximately 5:23PM on Sept 5, 2015 in the south county area of St. Louis, MO. It sounded like a loud explosion & then my entire garage shook. Local news stations reported that several people from surrounding areas such as Fenton & Kirkwood, MO also heard the boom. 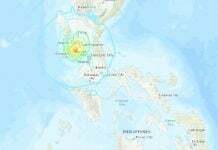 At that time, it was reported that there was NO seismic activity in the area. 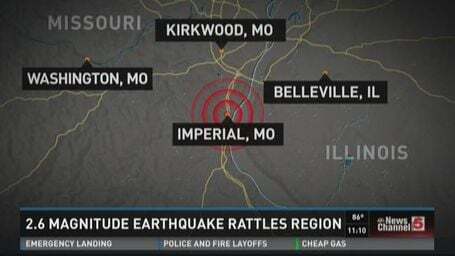 Later that evening that information was changed to “there was a 2.5 magnitude earthquake in Imperial, MO”. On Sept 6, that information was updated again and changed to a 2.6 magnitude earthquake. Living in the Midwest, I’ve been through several earthquakes but this was the first time I heard a loud boom. Also found it strange, per KSDK (Channel 5 News in St. Louis) “that at first, the USGS hadn’t heard about anything happening in our neck of the woods, but promised to look into the event. A short time later they called back and told KSDK, after some searching, that they had found the source of the event thousands felt across the region. There was something strange about the earthquake; the telltale crescendo of waves was absent. The graph spikes violently, then dissipates, no aftershocks follow. Some sort of explosive event? 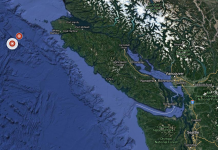 A man-made quake? According to the USGS, a mine detonation could register up to a magnitude 3. But there is a mine close to the epicenter of the quake. Moreover the geological event occurred just 1 kilometer below the earth’s crust – very shallow. Finally, the company did not answer any calls. The epicenter also happens to be right were the Amberleigh Woods subdivision is being built and the contractors have been blowing stuff up to clear the way for construction. So I think the culprit of these loud booms and rumblings felt by thousands in the St.-Louis Metro Area was man-made… Mining or construction. What about you?